The hottest trend this spring is pastels. Now personally, I can't pull off pastel eyeshadow because it looks ashy on me. I can, however, get away with a pop of pastel on my eye in the form of eyeliner. 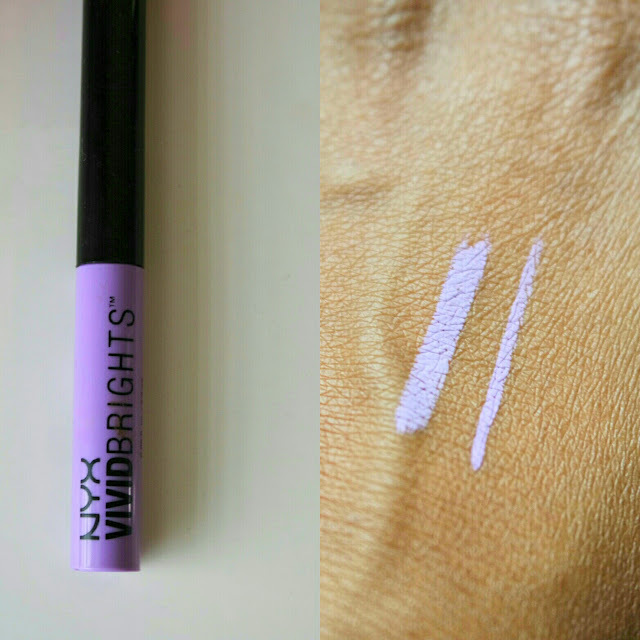 At the beginning of the year, NYX released a whole bunch of new products including the Vivid bright liquid eyeliner. I didn't pick them up at the time because I am super picky about colored liner. I usually only use the Urban Decay 24/7 Liquid Liner, but I saw someone use the NYX liners on Instagram, so of course the hoarder in me had to run out and get these liners too. I did a Face of the day using one of these liners a couple of weeks back, but I wanted to review these because I was really impressed by these liners. 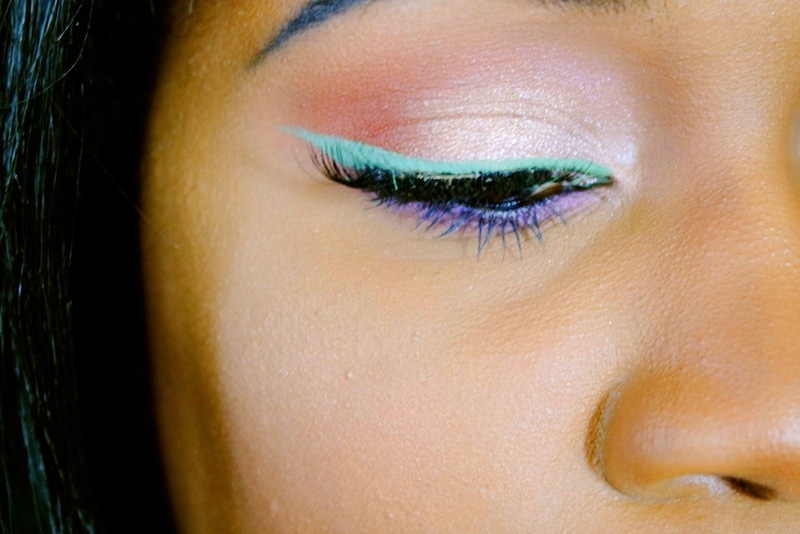 "Line your lids with vibrant color with our new Vivid Brights Liners. Available in nine incredible shades, these pro-level liners deliver instant and intense color payoff"
These are seriously some of the most pigmented color liners that I have come across. Like I said earlier, I was really impressed when it came to color. 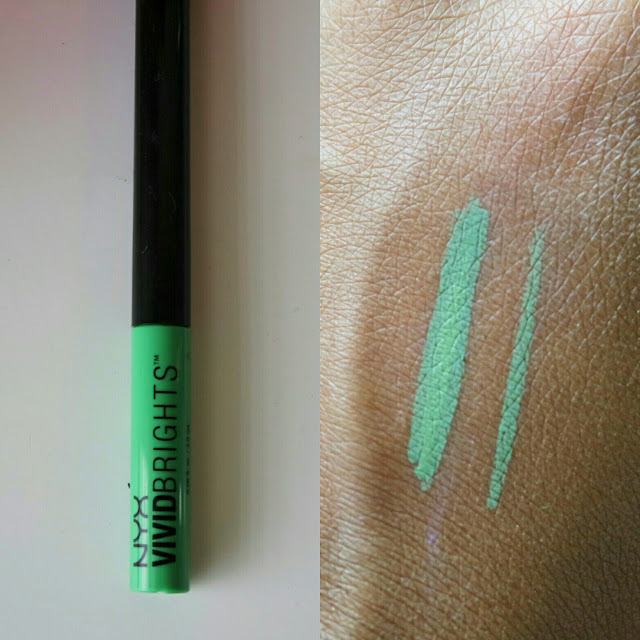 The Vivid Envy almost looked like a muted teal when I opened up the packaging, but it swatches and looks like a bright teal on the eyes.Vivid Blossom is a true lilac color that is true to the tube. These liners have full opacity. The pigmentation is also easy to build on. 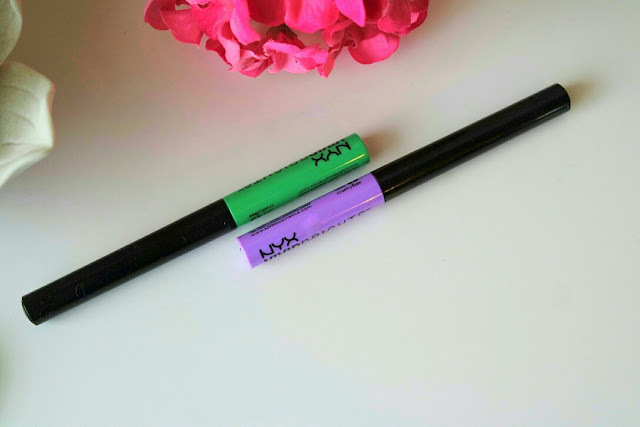 This liner is a slim tube of liner with .06 oz of product. The tip is a fine brush tip, which makes application so so easy. It was easy for me to get a thin wing with this liner layered over black and I could even get a bolder wing fairly easy. OMG!! I absolutely love how these liners performed on my eyes. Let's start with longevity. I wore Vivid Envy on a particular muggy day where it rained and I attended a barbecue outside and the color stayed vivid the whole day. I also wore Vivid Blossom to an outdoor festival and it lasted beautifully. As mentioned above, it was also really easy to apply and these are so easy to build on. You could definitely combine more than one liner color into one look because they dry fairly quickly and aren't runny at all. I kind of had trouble removing this liner and I think it has the potential to stain lighter toned eyelids, so that would be the only con for me. 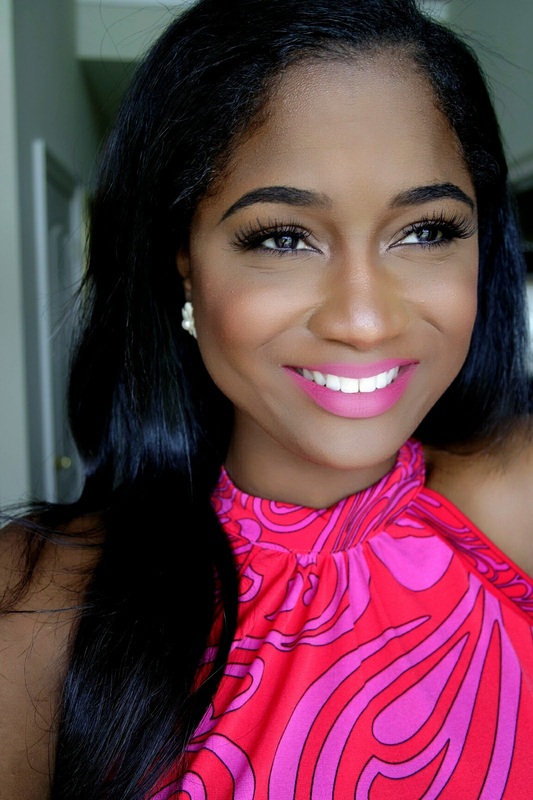 I really enjoyed this liner as a fun way to add pastels to my makeup routine. I actually ordered a few more colors from Ulta before my March no buy went into effect and I cannot wait to use them. Comment below if you have tried these or let me know what you think about the product.